The Honolulu Cookie Company is almost as ubiquitous as the ABC Stores. While not quite on every block, the stores are spaced out just far enough from each other to provide a nice place to duck inside and grab a sample of their delicious cookies. And they are delicious. The stores are clean and the employees are friendly. The shortbread cookies with the distinctive pineapple shape come in a variety of flavors that change with the season. Inspired by the islands, pineapple macadamia, white chocolate dipped coconut, and dark chocolate dipped Kona coffee are just a few of the flavors available. At Christmas time, you’ll find white chocolate dipped ginger spice, and peppermint. My favorites were the Kona coffee, and the chocolate dipped triple chocolate macadamia. So, put your walking shoes on, and head down Waikiki’s main street. Make a game out of collecting cookie samples on the way. 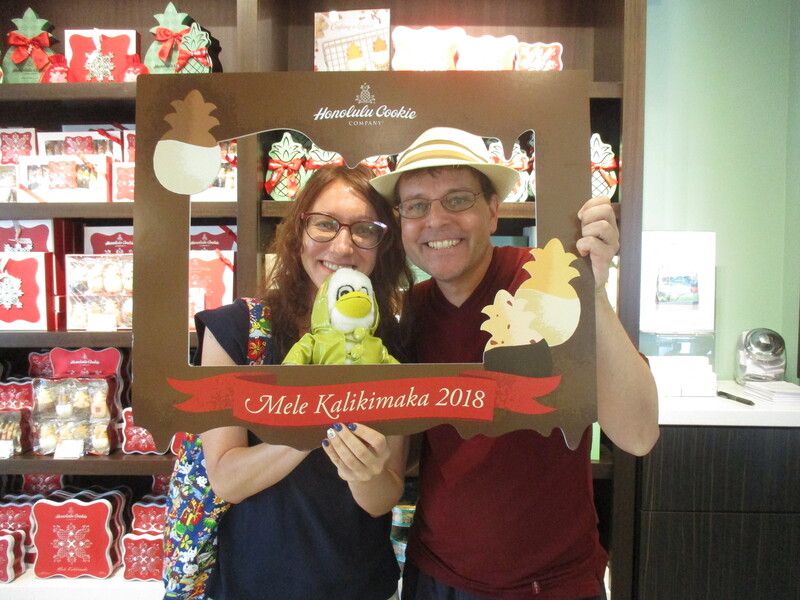 Because if you’re looking for a taste of the islands, the Honolulu Cookie Company has you covered.